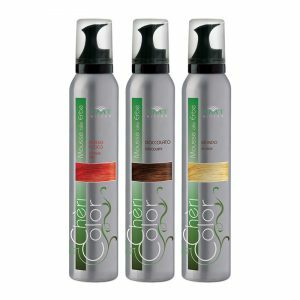 Colour lotion for the hair styling, perfect for giving hair shine and wonderful highlights. 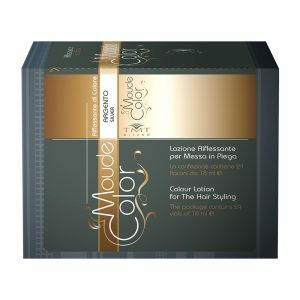 The Color Moude nuances revive a dull colour and cover white hair, while its shaping properties keep the hairstyle perfect and long lasting. How to use: Apply to damp hair and distribute evenly. Do not rinse. 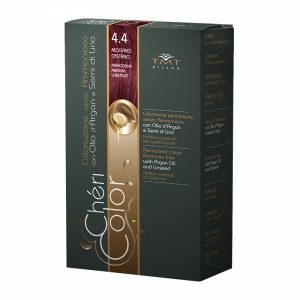 Colour foam with herbs, giving wonderful nuances and enhancing the hair natural colour. How to use: Apply the necessary quantity to washed and damp hair, distributing well with a comb. Dry without rinsing. WARNINGS: Pressurised bottle. Protect from sun rays. Do not expose to temperatures above 50°C. Do not perforate, do not burn even after use. Keep away from all sources of combustion. Do not spray on flames or on hot objects. Do not smoke. Keep out of reach of children. La delicata formulazione senza ammoniaca protegge il capello, rendendolo luminoso, morbido, setoso e facile da pettinare. Colorazione permanente di lunga durata. Chéri Color offre un risultato sicuro e di lunga durata con una perfetta copertura dei capelli bianchi uniforme dalle radici alle punte. La sua texture in crema non cola e garantisce un’ottima distribuzione su tutta la capigliatura.